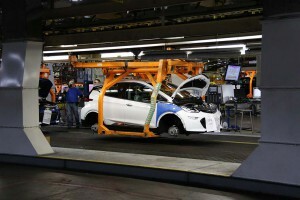 CEO Barra asking Congress to expand electric-car tax credits. 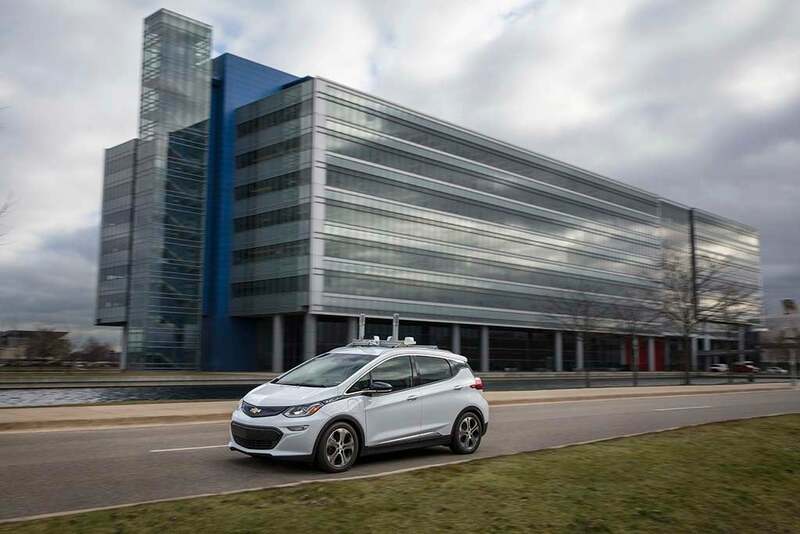 There's significant room to expand Chevy Bolt EV production at GM's Orion Assembly Plant. General Motors plans to expand production of its first long-range battery-car, the Chevrolet Bolt EV, CEO Mary Barra said during an energy conference in Houston. The Bolt has experienced stronger than expected demand in recent months, some analysts suggesting that is the result of the slow ramp-up of production for Tesla’s own mainstream EV, the Model 3. 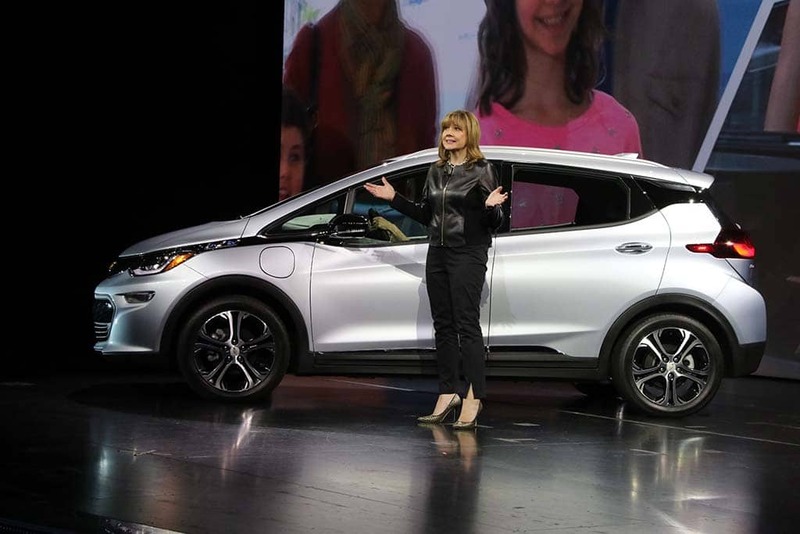 GM CEO Barra helped introduce the Chevy Bolt at the 2016 Consumer Electronics Show. 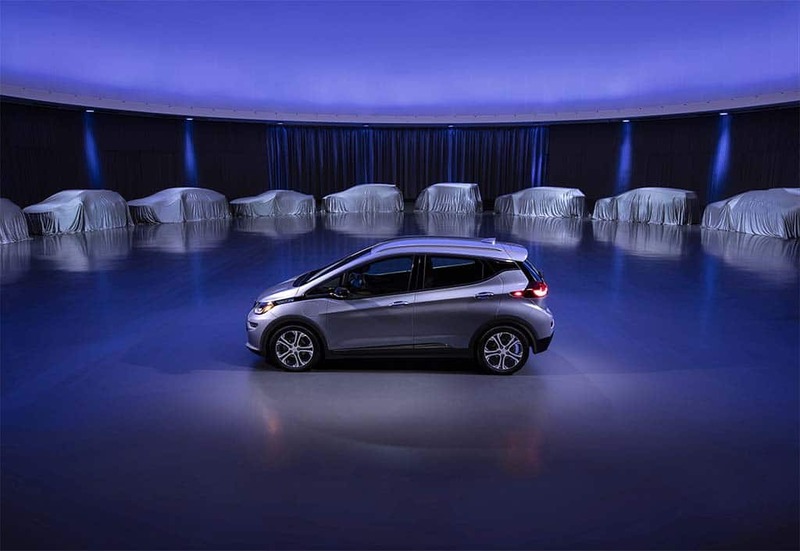 Launched for the 2017 model-year, the Bolt was the first mass-produced, mainstream-priced battery-electric vehicle to offer more than 200 miles of range – 238 according to the EPA test cycle and more than 300 in Europe. It beat the Tesla Model 3 to market by more than six months, though GM’s initial ambitions were far more modest than its California rival, Tesla CEO Elon Musk initially forecasting sales of the Model 3 would reach 400,000 in 2018. Production at the Tesla assembly plant in Fremont, California has run far below expectations, in part due to trouble at the company’s Gigafactory facility in neighboring Nevada. While there’s an extensive order bank for the Model 3, Chevy dealers have been reporting that some potential buyers have decided not to wait and are, instead, opting for a Bolt. Sales of the Chevy BEV climbed to 26,000 last year, with some indications that the number would have gone even higher with greater availability. GM is also expecting to boost sales this year now that it has rolled the Bolt out nationwide after initially offering it only in California and a handful of other states copying its strict emissions guidelines. 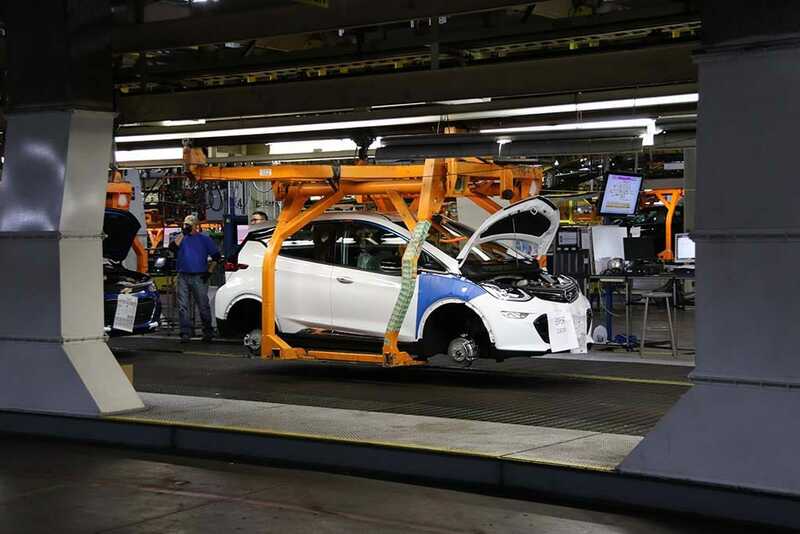 Barra did not disclose how much GM plans to ramp up production following a speech at the annual CERAWeek by IHS Markit conference in Houston. But there is significant available capacity, analysts note, at the underutilized Orion Twp. Assembly plant in the Detroit suburbs where Bolt is produced. GM also plans to introduce a fully driverless version of the Bolt EV in 2019 for ride-sharing fleets. 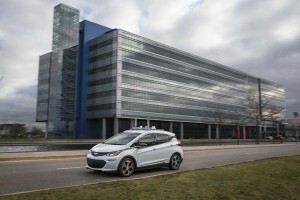 Though electrified vehicles of all sorts – including hybrids, plug-ins and BEVs – account for a small share of GM’s overall sales, but last autumn, the automaker’s global product chief, Mark Reuss, announced that two additional long-range BEVs will be launched within 18 months, with 25 scheduled worldwide by 2023. And the push won’t stop there. “We believe in an all-electric future” Barra said, during the Houston conference. The company plans to eventual eliminate internal combustion technology entirely, but has not laid out a timeline. That’s in line with what a growing number of GM’s competitors are planning. Volvo, for one, plans to only use various forms of electrified powertrains in vehicles launched from this year forward. Volkswagen expects to have 50 BEVs in the fleets of its various brands by mid-decade. And Honda expects electrified offerings to make up two-thirds of its volume by the 2030s. Not everyone quite is so confident, however. At the IHS conference, , Saudi Aramco CEO Amin Nasser predicted it would take “generations” for battery-electric vehicles to become dominant. But a study released in December by the Boston Consulting Group forecast electrified vehicles would account for half of U.S. new vehicle sales by 2030, with most other key reaching similar levels. BCG analysts noted that, at the moment, electrified vehicles still aren’t truly competitive on their own against those using internal combustion engines, with the tipping point not likely to come until the mid-2020s. For now, the study emphasized, it will require government support to build momentum. China recently enacted new guidelines that will force the industry to expand sales of plug-ins and BEVs, and regulators there are considering the idea of banning gas and diesel vehicles entirely. Norway and India have already put such bans in place, while France, the UK and even Germany are considering similar moves. There has been support for a similar phase-out of internal combustion vehicles by California but, for now, the most compelling incentive for Americans interested in zero-emissions technology is the $7,500 federal tax credit that unexpectedly survived the tax plan passed by the GOP-controlled Congress last December. But the givebacks aren’t unlimited. A manufacturer can only sell 200,000 qualified vehicles in the U.S. before they begin to phase out for that company over a 12-month period. GM has already sold 160,000 eligible vehicles. Without that discount, the Bolt’s price would effectively jump to a base $36,620 plus delivery fees, a roughly 20% increase. Neither Congress nor the White House have shown any interest, so far, in expanding the tax credits. But the Trump Administration has been studying whether to relax the current U.S. Corporate Average Fuel Economy standards. Set to climb to 54.5 mpg by 2025, CAFE has become one of the big motivators for the industry’s push to electrify, and some observers fear that if mileage rules are relaxed companies like GM might also ease off on their battery-car plans. This entry was posted on Thursday, March 8th, 2018 at and is filed under Asia Pacific, Auto Shows, Automakers, Automobiles, Autonomous Driving, Business, CES, Chevrolet, China, Driverless Vehicles, EVs, Electrified Vehicles, Environment, Europe, Executives, Fuel Cell, GM, Honda, Hybrids, Markets, NAFTA, Personalities, Sales, Sales, Technology, Tesla, Trends, U.S./North America, Volkswagen, Volvo. You can follow any responses to this entry through the RSS 2.0 feed. Both comments and pings are currently closed.